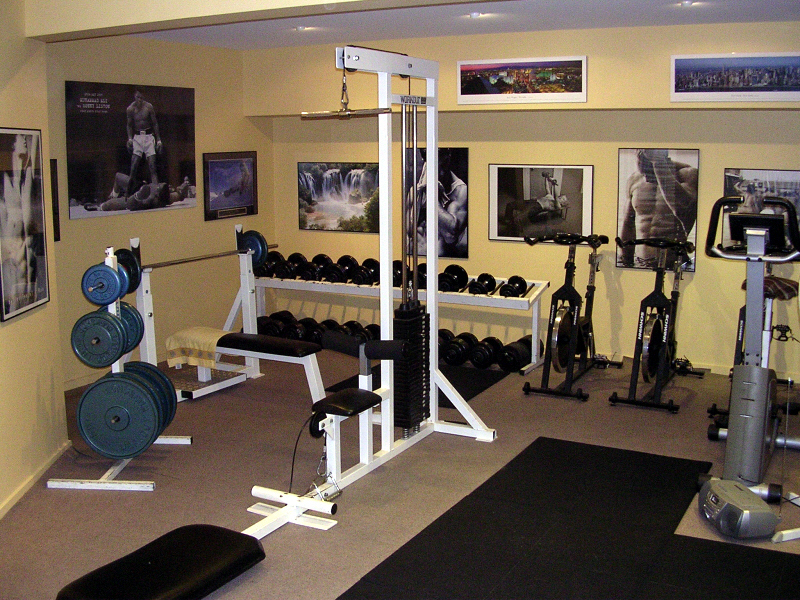 Modern state-of-the-art equipment situated in a relaxing location. Feel comfortable and at ease while you exercise towards your goal in private. No crowds! no gym peacocks! no distractions! Enjoy 1 on 1 attention for your entire session and there will be definitely no waiting for sweaty machines. A highly motivating and rewarding service that I provide complimentary to all my clients. The camera never lies. Many wonderful and amazing results have been achieved over the course of many years. Absolutely inspirational 6 month transformation! 18kgs in only 5 months ... Incredible !! Best shape of my life in just 6 months !! Big Jason melts away 50kgs of bodyfat in just 7 months !! Rose has lost an UNBELIEVABLE 30kgs in just 6 months !! I specialise in 1 on 1 personal training sessions because they are by far the Safest and Most Effective way to exercise!! Receive total 1 on 1 attention for your entire workout (that's right just you and me, no small groups & no gym crowds). My personal training sessions are 45 minutes in duration and include Functional Weight Training, Cardio Boxing & Indoor Rowing. Weight Training builds and tones the muscles while really helping to speed up the metabolism, so you burn fat for days after each session. Cardio Boxing helps tone the muscles of the whole upper body while tightening the waist line at the same time, and it sure does help burnt that dreaded bodyfat. (it is also an excellent outlet for built up tension and stress!!). Indoor Rowing is a fantastic exercise which not only works the muscles of the legs, arms, back, shoulders and stomach, but is also great for the heart. Combining these three types of exercise enables the best imaginable results in the quickest possible time. My 1 on 1 personal training training system is tried and tested, and is by far the fastest way to get into shape, and/or the best way to push yourself to the next level and beyond......!! Please Note: Bootcamps and Group Training are HIT & GIGGLE, a nice way to injure yourself, and a nice social event at best. If you are after Safe, Serious, Long Term Results and Big Changes nothing beats my One on One Personal Training Sessions. You don't have to starve anymore!! Let me help you create healthy eating habits which are essential for sustainable, healthy long term results. Lose weight and get fit the healthy way. My Eating Plans are all personally designed by myself, drawing on a detailed knowledge of nutrition and many years of experience working with 100's and 100's of different clients as well as my own personal dieting. Each plan is designed to suit each individuals specific goals and lifestyle. So at last you can learn how to eat properly for ongoing and sustainable long term/healthy results. And be assured this includes ongoing support and encouragement which will help you to really start seeing food as a positive, not always a negative as many find the case to be. Have you ever wanted to know exactly what your Bodyfat% is?? Or how much Lean Muscle you have on your body?? Well now you can!! Via a cutting edge Body Scan we are now able to measure extremely accurately what a persons body composition is. This is a great tool for checking your progress and to learn exactly what changes are taking place. The scales are an indication of body weight changes only but a Body Scan tells us exactly how much Bodyfat you have lost and how much Leam Muscle you have put on as a result of your exercise program. So throw in the bin those rubbish bodyfat scales (which simply don't work, they say I am morbidly obese whenever I have stepped on them lol lol) and the bodyfat callipers (which are so inaccurate it isnt funny). As a part of each Body Scan a bone mineral density test is performed and this is also very important for women, especially those who are middle aged and older. A Body Scan is a great motivating tool and I am having terrific success with many clients as a result. It's quick and easy, and all my clients receive a discounted rate for all their scans. 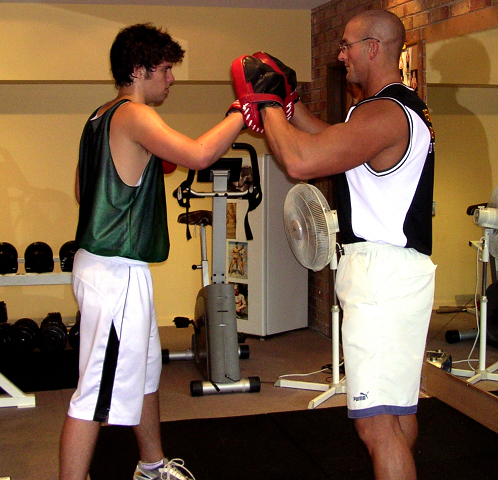 I also provides the service of acting as a consultant to other fitness professionals. 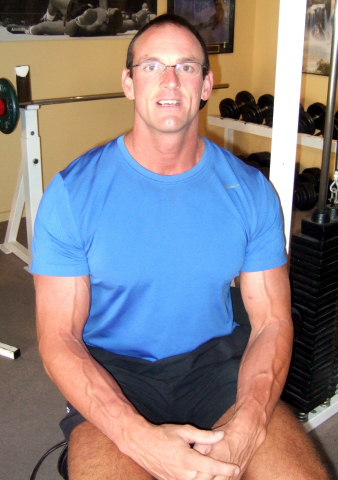 I have been involved in the fitness industry now for over 20 years. Firstly as a novice gym junkie, then as a national level competitive bodybuilder, and now (for the past 10+ years) as one of Australia's most experienced and successful personal trainers ie. the ability to walk the walk combined with an amazing skill of being able to inspire, motivate and bring out the very best in all the many various clients he has trained over the years. Over the years I have learnt, (mainly through trial and error due to the lack of 'real' education options out there), the best ways to run my business and help all my different clients to achieve their many varying goals and dreams. My mini seminars are of 1 1/2 hrs in duration and I absolutely encourage all that book a Fitness Consultancy session to have as many detailed questions worked out in advance as they can. I have helped many fitness professionals improve their skills and knowledge over the years, but sorry guys there are no CEC's here, just KNOWLEDGE and definite insights on how to be a BETTER TRAINER .......that's a nice change isn't it!!!! !